(CNN) - As of Saturday, Arizona Democratic Rep. Gabrielle Giffords' name appeared on a website titled "take back the 20" as part of a list originally issued by Sarah Palin of vulnerable House Democrats. A map on the site showed crosshairs over the contested Democratic districts. The post read, "We'll aim for these races and many others. This is just the first salvo in a fight to elect people across the nation who will bring common sense to Washington," and was accompanied by a map with targets over the districts. "My sincere condolences are offered to the family of Rep. Gabrielle Giffords and the other victims of today's tragic shootings in Arizona. On behalf of Todd and my family, we all pray for the victims and their families, and for peace and justice." At a press conference Saturday, Pima County Sheriff Clarence Dupnik criticized people who are making a living off "inflaming the American public." "When you look at unbalanced people, how they respond to the vitriol that comes out of certain mouths about tearing down the government, the anger, the hatred, the bigotry that goes on in this country is getting to be outrageous," Dupnik said. "Unfortunately, Arizona has become sort of the capital. We have become the Mecca for prejudice and bigotry." And Saturday's tragedy was not the first time the Arizona Democrat was targeted. The day after she voted in favor of health care reform, a glass panel at her Tucson office was shattered. 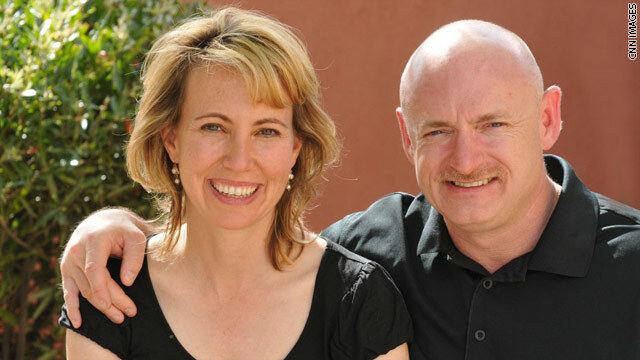 Giffords won a close race against Republican Jesse Kelly in November. Kelly was a Tea Party favorite who ultimately received 47 percent of the vote to Giffords' 49 percent. The Republican-leaning 8th district went for George W. Bush in 2000 and 2004. Tea Party Express Chairwoman Amy Kremer responded to the events Saturday by saying the group is "shocked and saddened" by the "terrible tragedy." "These heinous crimes have no place in America, and they are especially grievous when committed against our elected officials. Spirited debate is desirable in our country, but it only should be the clash of ideas," Kremer said in a statement. "An attack on anyone for political purposes, if that was a factor in this shooting, is an attack on the democratic process. We join with everyone in vociferously condemning it." It's time that people who incite hotheads and whackos be held responsible by the press. All I heard last night were platitudes about not getting upset at demagogues like Angle, Palin and the rest of the extreme right. 90% of the comments I read on the net were preemptive strikes against the meme that this would give "libs" (they can't even spell the word out) an excuse to take away my gun. It's all about them – the dead child is just collateral damage. Yes – I'm disgusted with the right wing and with the stenographers masking as journalists who are too frightened to speak truth, this is what Angle meant – her 2nd Amendment remedy. I've been in the military and I've owned both handguns and rifles – so try to find a rational reason to rebut my argument rather than a wild eyed shriek about my liberal thoughts.